Not many people are aware of this, so as an organization offering sterling Christmas lighting installation in San Francisco, California, let us tell you the simple truth: not all Christmas lights were created equal. 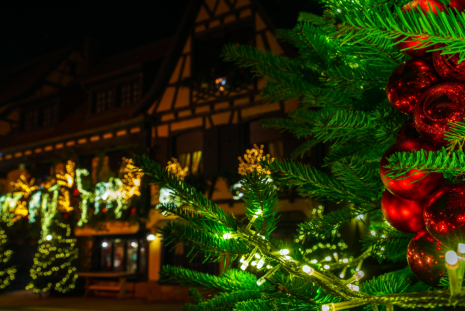 In fact, Christmas display enthusiasts and industry insiders know that LED Christmas lights can be classified into two categories: Professional grade, and Retail grade. When it comes to bulb and lens design, the majority of professional grade lights are constructed with a one-piece design while retail grade lights have a two-piece design. Having a one-piece design means that pro grade lights are more durable, as in fact they are usually rated to last for more or less 75,000 hours. This does not necessarily mean that retail grade lights are of poorer quality, though. A two-piece design just means that it is far easier to replace failed diodes in retail grade lights. When it comes to price, pro grade LED Xmas light installation in California takes more money out of your pockets than you’re probably willing to pay since they make use of higher-grade and, therefore, higher-priced lighting components. If you are concerned about keeping your costs down, you might want to consider retail grade light bulbs more than pro grade ones. Having far cheaper components for retail grade light bulbs does result in a payoff to the effect that customers have lower initial purchase prices. Should you have further questions about the difference between professional grade and retail grade LED Christmas lights, you can always get in touch with our team at Greenforce Outdoor Light. This entry was posted in Christmas Lights and tagged Christmas Decor, Christmas lighting, Light Installation. Bookmark the permalink.